Star Wars Science - Jedi Telescope Only $8.73 (Reg. $24.99)! You are here: Home / Great Deals / Amazon Deals / Star Wars Science – Jedi Telescope Only $8.73 (Reg. $24.99)! 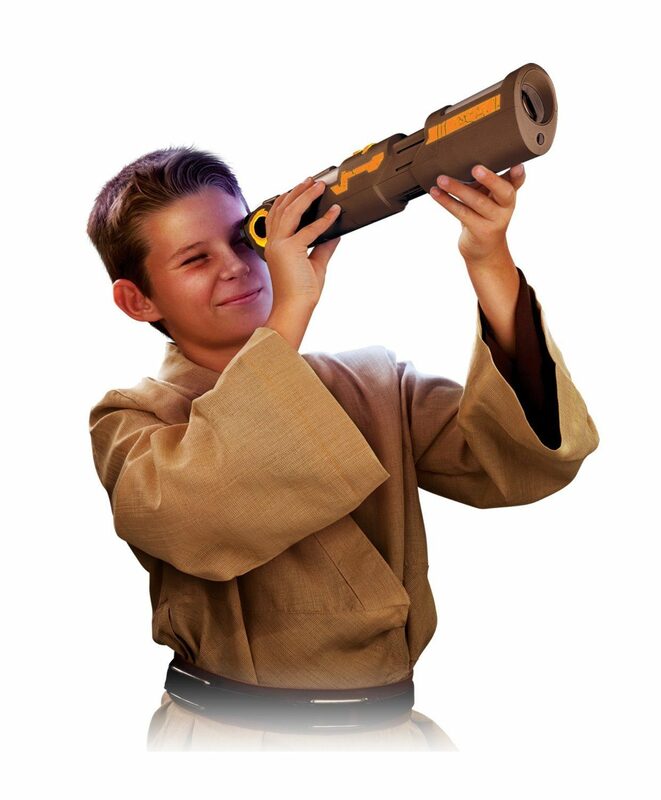 Star Wars Science – Jedi Telescope Only $8.73 (Reg. $24.99)! Calling all Star Wars fans! Right now on Amazon you can get this fun Star Wars Science – Jedi Telescope for only $8.73! This would make a great gift idea! See the world like a Jedi! Use it as a real telescope or to view images of the amazing Star Wars universe. With 10 built-in images and macro and micro focus controls.